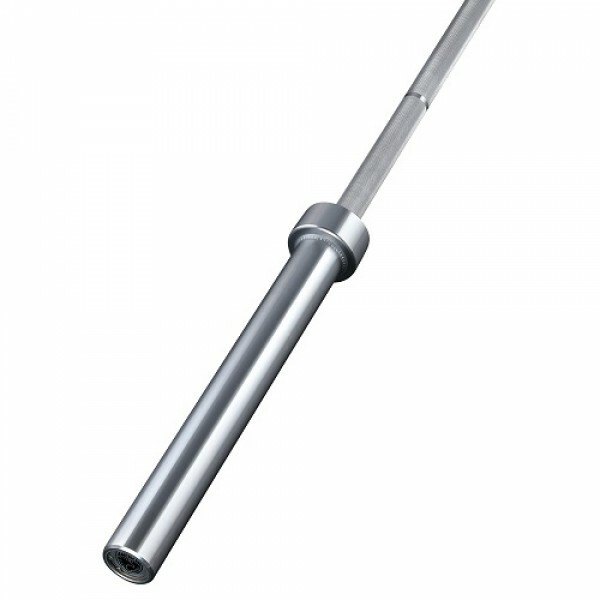 The bar shaft is made from precision ground alloy steel and has a hard chrome coating. The strength of the shaft is tested with every shipment of raw material to ensure we have a consistent 190,000 PSI tensile strength. This attention to detail also allows for excellent whip and long-term performance of our bars. The bar sleeves are precision welded to eliminate failure. The weld is recessed to not interfere with plates resting flush against the sleeve collar. Each sleeve is coated with hard chrome for protection against dropping. Sleeves rotate around high strength composite bushings used in aircraft and automotive industries for smooth rotation.